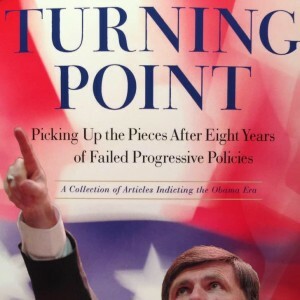 Republican congressional hopeful Frank Howard is scheduled to hold a book signing event with former Maryland Governor Robert Ehrlich on Monday, April 18, in Kensington, Maryland. In March, Ehrlich held a book signing event in Downtown Salisbury, hosted by The Wicomico County Republican Club and Dr. Carolyn Elmore. Some confusion has arisen over whether Ehrlich has officially endorsed Howard’s congressional candidacy. Ehrlich, however, did NOT endorse Frank Howard in the CD-6 Republican primary. Last evening I emailed Jim Pettit, Mr. Howard’s communications director, for clarification on whether Gov. 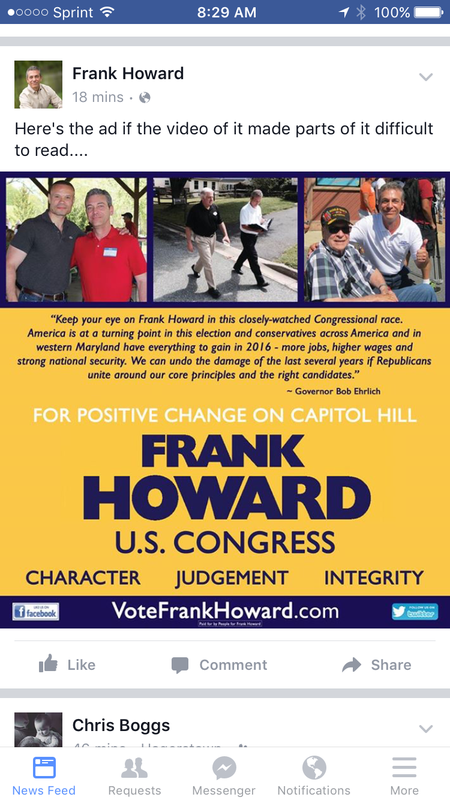 Ehrlich had officially endorsed Frank Howard. Again and for the record, Gov. Ehrlich did NOT endorse Frank Howard. Below is my email exchange with Mr. Pettit confirming that no endorsement was given to Howard by Ehrlich. There seems to be some confusion about Frank’s touting of Bob Ehrlich on the campaign trail. Did Gov. Ehrlich endorse Frank’s candidacy for Congress? Is he officially supporting Frank over the other candidates in the CD-6 Republican primary? There is no confusion on our end. Gov. Ehrlich told our campaign there are no plans to officially endorse anyone in the primary. His quote (in the Herald-Mail ad) speaks for itself. Our newsletter will be going out soon. It embodies our messaging re: Gov. Ehrlich. Howard’s event next Monday with Ehrlich will last from 6:00 p.m. until 8:00 p.m. Happy Early Birthday, Frank Howard!